Have you seen a box that looks like this during your daily travels? This is a QR code. You can find them nearly everywhere, and they’re becoming more and more prominent. What is it exactly? A QR – short for Quick Response – code is a 2D barcode. It works just like a standard 1D barcode that you’ll find on every product for sale at the market. The difference is the type and amount of date it can store, as well as the type of reader you need to scan it. The price gun at your favorite store is only capable of scanning 1D barcodes. 2D barcodes have their own scanners. For the most part, these scanners can only be found on phones in the form of downloadable apps. 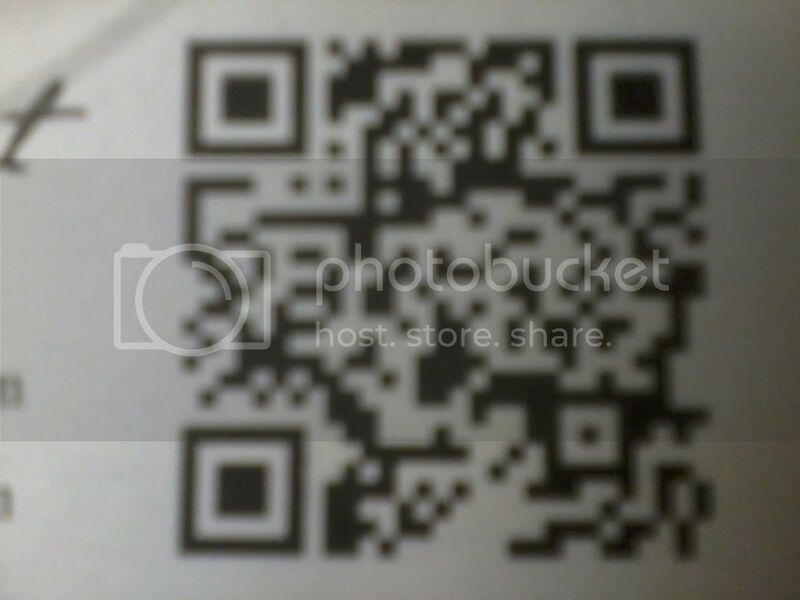 Can My Phone Scan QR Codes? 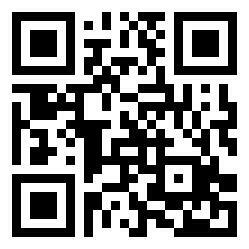 If you have a smartphone I can almost guarantee that you have access to QR reader apps. Different readers are only available on different phones. I will address this further in a future post. For now, search your phone’s marketplace for an app. Try Barcode Scanner if you’re using Android or Neo Reader if you’re using an iPhone. I downloaded the app. What do I do now? Boot up the application. It should access your phone’s camera. 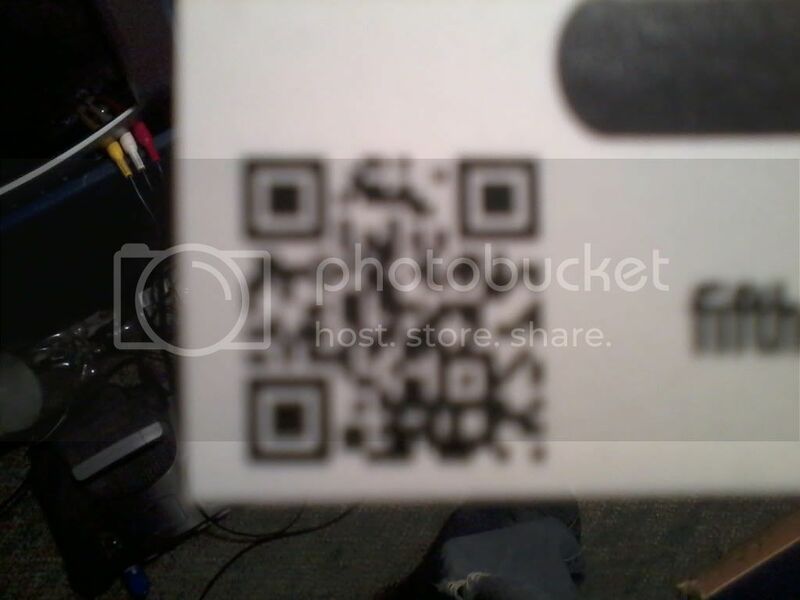 Take a picture of the QR code. Some applications may search for the code and snap the photo automatically while others will require you to press the shutter button. The reader will take a moment to process the data stored within the code and when it’s finished it will ask for permission to bring you to a certain webpage or display a certain message. If you scanned the QR code at the top of this page, it is safe to accept this message. Why the heck would I want to do all this? 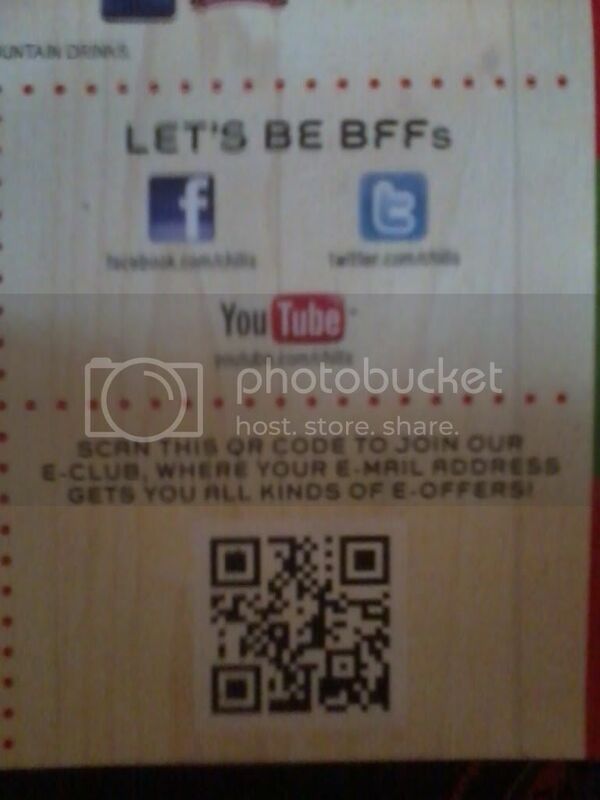 Companies are using QR codes more and more for marketing purposes. By scanning a code on a store display, you could be led to a webpage with more information about the product. Alternately, you may be given a free digital coupon or discount. Sometimes a print advertisement will tell you what you will see if you scan a code, while others won’t. 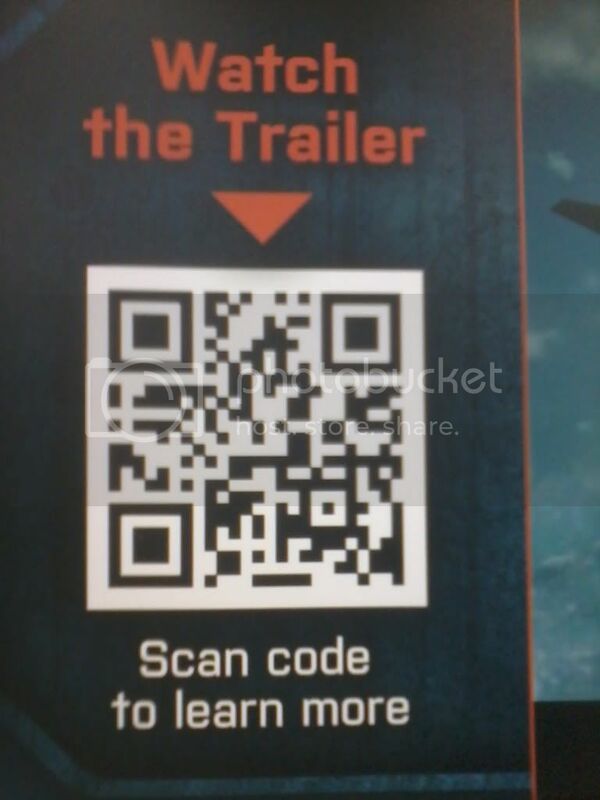 An unlabeled QR code on a movie poster may lead you to a website with a trailer, or it could score you a coupon for a free beverage at the concessions counter. Every time you scan a QR code it’s like a new adventure. I would like to be on the other end of QR communication. How can I use QR codes to grow my business? Start by reading this blog from Social Media Examiner. The way you explained QR codes was informative, but is there any way I could have it explained to me visually? Preferably by an attractive young woman? Thanks! Since you’re so magical, how about a video with the same woman but without the goofy guy? Go here. It answers 21 specific, obscure questions. When I sit down to write a blog post I often come across articles online that are not pertinent to the particular entry I’m writing. Every time I come across a nice QR article this way I save it into my bookmarks. They sometimes become the inspiration for the following entry, in which case I remove from my bookmarks after I use it. Right now my bookmark menu is full of more articles than I could possibly write about. Instead of letting them pile up any more, I’ve decided to pick a few and just list them below so you can do your own research. These are QRAZY JASON’S Miscellaneous Pages! 13 Creative Ways to Use QR Codes for Marketing: From Fast Company, this article is a great resource for companies, large or small, that are looking for ways to join the ranks of QR promotion. Genesee Amps Up Social Media Efforts: Scan the QR code in this link to visit all of the social media pages endorsed by Genesee Community College in Batavia, NY. These pages are even said to help with class selection and registration. How to Create a QR Code in 3 Easy Steps: A great infographic from The Daring Librarian narrated with comic book-style speech bubbles. Make sure to scroll down and check out the QR Codes at-a-Glance infographic as well. QR Codes 101: An all-about-QR codes guide from MIT that includes information on decoding, code generation, using URL shorteners and some ideas for where to put your codes. QR Codes Have Quite the Story to Tell: An article from News & Tech that explains where QR codes came from and how they are being used now. And finally, a Late Night trifecta. I’ve never written “Jimmy Fallon” and “visionary” in the same sentence. To me, he’s a subpar replacement for the King of Late Night. However, I will give him credit for becoming somewhat of a spokesman for QR codes. Let me explain. You’re probably used to late night talk show hosts holding up a band’s new album immediately prior to their performance. On February 18, Fallon did something a little different before shock rapper Tyler the Creator took the stage. Instead of an album cover, he held up a QR code that led to a video for Tyler the Creator’s song “Yonkers;” a video that would nab Tyler the award for Best New Artist later that year at the MTV Video Music Awards. Then, on February 28, 2011, the band Glasser decorated Fallon’s stage with custom QR codes designed by Kyuha Shim. Following these incidents, for April Fool’s Day 2011, Fallon brought out Stephen Colbert and Taylor Hicks for a collaborative cover performance of Rebecca Black’s viral internet travesty “Friday.” During the performance, one of the show’s crew members held up a QR code that led to a Thank You video for the fans. During the Thank You video he holds up another QR code leading to a top secret video that features Fallon rummaging through his desk. Fallon has been embracing QR codes so much that NBC is selling a Late Night with Jimmy Fallon mug with a QR code printed on it. While researching QR codes the other night I ended up in a Facebook chat with an old friend. I told him about my blog and he told me about the most ubiquitous QR campaign he knew of: his favorite band, Linkin Park. On one hand I thank him for his contribution and I commend the band for their use of QR codes. However their music isn’t my cup of tea. I prefer Foster the People, Neutral Milk Hotel and [Nappy Roots]. But this post isn’t about Linkin Park’s music as much as their marketing. My friend told me they try to keep up with the latest technology and that their promotional items are often too advanced for his devices to handle. Since Linkin Park is with the times, and considering that their DJ is Japanese and the rapper/producer is half-Japanese so they bring their tours to Japan often, it is no surprise that they have been utilizing QR codes for some time now. The earliest example I could dig up was a promotional advertisement for their 2010 album A Thousand Suns. Apparently in Europe there were posters in bus depots. I’m not certain if these advertisements were also used in Japan or the U.S.
Linkin Park also used a QR code to promote their single “Iridescent” which could be found both on A Thousand Suns and the soundtrack to Transformers: Dark of the Moon, which I refuse to see as a result of my disdain for Michael Bay. The band gave their fans early access to video footage via a QR code posted on their website about a week before the full video was released. Most recently, Linkin Park has teamed up with Dreamworks Pictures and Best Buy for the release of the Transformers: Dark of the Moon Blu-Ray. Best Buy stores had an in-house display for the film featuring a QR code that would send customers to a secret page where they could watch a video of Linkin Park performing in Moscow. See that fact worded slightly differently and accompanied by a picture here! My friend tells me they plan to release a new album in 2012. Perhaps we will see most QR codes from the band. Maybe some prettier ones like the [codes I saw at Walmart]. Or maybe Linkin Park will abandon QR codes and switch over to Near Field Communication. Only time will tell, but I can guarantee that while other people are waiting anxiously for the music, I’ll be judging the band silently through their QR codes. Actually, I’ll probably judge them in print too. Which Phones are Scanning the Most QR Codes? The smartphone industry is a heated battle between a small handful of platforms. If you’re tech savvy and designing your own QR reader app, you’ll want to design it for a platform on which people will use it. I am not going to try to sway you toward a particular platform. I am merely using this space to analyze factual data. At the end of 2009, Blackberry was in control of 36% of the smartphone market with Android at 28% and iPhone trailing behind at 21%. In 2011 the power had shifted significantly. Android is the industry leader with 39% of the market. iPhone follows with 28% and Blackberry is in third place with just 20%. Over Blackberry, Windows, Nokia and the other competition, Android and iPhone have proven to be the major contenders in the smartphone market. Android has grown more because they seem to be attracting an audience of users new to smartphones. iPhone, on the other hand, is growing by stealing the users of other services after their contracts expire. What iPhone has done right is customer loyalty. 89% of iPhone users stuck with the platform. Meanwhile, 29% of Blackberry users and 21% of Android users ended up switching to iPhone. As time progresses, I can see iPhone succeeding Android if their customer satisfaction does not improve. Despite being third in the industry in 2009, 99.4% of all smartphone apps downloaded were done on iPhones. While this statistic has certainly shifted, it is still said that QR code scans from iPhones outnumber those on Android three to one. Although Android is the industry leader for service, iPhone users tend to download more apps. Keep Track of Your QR Codes: Are People Really Scanning Them? If you’re considering or in the midst of designing a QR marketing campaign, you might be confident about the results but concerned or uncertain about the process. How do you know if it’s working? You might be getting more hits on your website, but you probably have half a dozen other stimuli out there that could be drawing in those visitors. If only there was some way to track visits from the code. After all, you can trace how visitors get to your website from search engines and backlinks. It’s time to wake up, because that dream is a reality! There are many ways to track your QR codes. Most complete QR marketing services will include this feature in their packages to you. You also have the opportunity to do it yourself for free. While it is not the only one available to you, it seems Google Analytics is the most popular. Google Analytics has what they call a URL builder. With my earlier [Make Your Own QR Code] post I taught you how to make a QR code on a simple generator. You pasted your URL, clicked a button and had your result. In order to create a QR code that you can trace, there are several steps in the middle that we skipped and Google Analytics provides the resources. After you paste your URL into the program, you need to define a campaign for it. The name of this campaign is what you will use to search for your records at a later date so be perceptive about the information you choose. A good example would be to define the campaign source as QR Code, the campaign medium as the object it’s printed on (business cards, posters, billboards, etc…), and the campaign name being whatever you’re trying to gain from the code (page views, contest participants, etc…). If your QR code marketing involves a number of different campaigns define each one separately in Google Analytics so you can determine which is turning out the most results. Once you have filled out all of the information, Google Analytics will then turn out a code that you can track using their services. You could stop here and generate a QR code using your new URL, but you may notice that it is a bit long. While generally your URL should fit into a standard sized QR code, it is always best to try to encode as little data as possible. From here, I recommend taking your long URL and entering it into a URL shortener. Bitly, Tiny URL and Goo.gl are the most popular examples. Tattoos are great! They can represent an important affiliation, we use them to remember the dead and sometimes they even give a person an edgy appearance. I don’t have one myself. I’ve always wanted one, but I’m not too big on blood, even my own. Have you ever seen the episode of Futurama where the character Amy gets an animated tattoo of a little devil head? It’s too bad there aren’t really animated tattoos. Or at least there weren’t until now! On June 16, 2011, Paris tattoo artist K.A.R.L. created the first animated tattoo by using 2D barcode technology. Fortunately for us all, he recorded a video of himself giving the tattoo for us all to appreciate. No, the tattoo can’t move or make noise without the use of a smartphone app, but it’s still pretty cool, huh? The best part is: you can link a code to a URL, not to specific content. What this means is you can change the information on that URL. If you got a QR tattoo that linked to your significant other’s name and then the relationship didn’t work out, you could change what the code will display when scanned. However, I feel the risks far outweigh the coolness factor. You need to have a very trustworthy tattoo artist with great attention to detail. The squares need to be perfect or else the code won’t scan and you’ll have a strange, non-functional shape permanently drawn on your body. Marco in the video did not get a standard QR Code tattoo but rather an EZ code, which can only be read with my [favorite] app, ScanLife. If you were to get a tattoo that needed a specific program to run, you are risking losing functionality eventually. No one will be able to scan your tattoo if the company shuts its doors down the road. 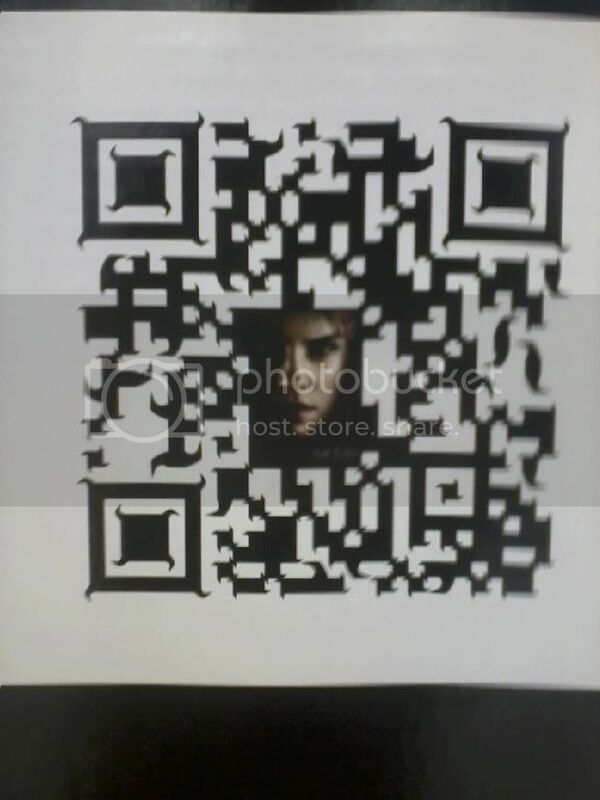 As the article states, had Marco gotten a true QR code tattooed to his body, it would have needed to be ten centimeters wide in order to function properly. Do you really want to give up that much of your skin for a square tattoo? While I like to believe QR code have a home in our society for quite some time, it is likely the technology will vanish in our lifetimes. Consider how long the code will be usable. Even if the tattoo is still in immaculate condition, the day will come when no one has a reader. I certainly won’t be getting a QR tattoo. I’ve said my piece, but if you feel it’s worth it I certainly won’t stop you. In fact, I’d be interested in seeing your code tattoo. Send me a pic and if I get enough, maybe I’ll start an online gallery. I took a journey to my local Walmart last night and as my legs carried me through the electronics section I happened upon a rather large display for the newest Harry Potter DVD/Blu-Ray combo pack. 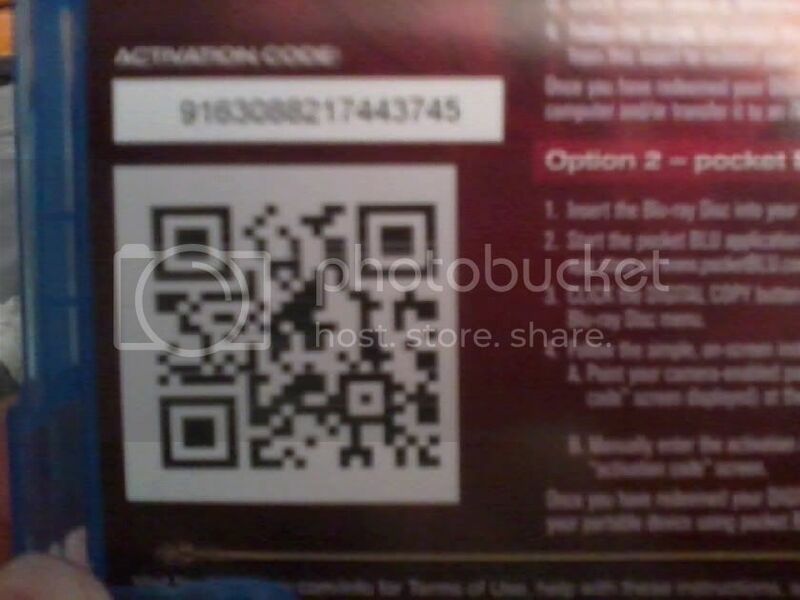 I just knew that Warner Bros. Home Video was not going to miss the opportunity for a QR code. What I didn’t expect was for them to take it to the next level. Nice! 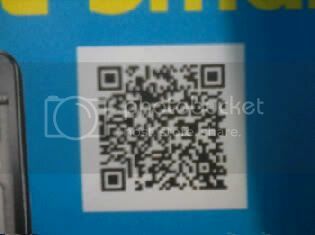 What Warner Bros. has done is they have taken advantage of the error correction capabilities in QR readers. Up to about 30% of a QR code can be blocked or distorted and a reader will be able to fill in the data and direct your phone appropriately. Warner Bros. replaced some of the data in the center of the code with a character’s face so the code stands out amongst the plethora of standard codes. I like the block shapes too. Not sure how to define them. There was also a display for The Reunion, a grizzly awful-looking movie starting wrestler John Cena. 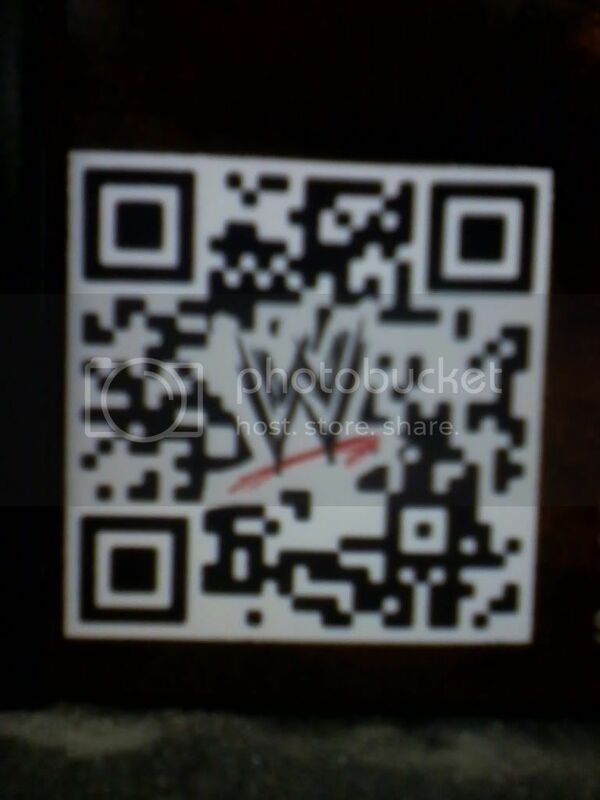 It too had a custom QR code with the WWE logo in the center. It brings you to a page where you can watch the trailer. I couldn’t bring myself to watch it. Movies starring wrestlers don’t exactly have the best track record. Except Ready to Rumble which I like inexplicably. On a display for the video game Call of Duty: Modern Warfare 3. On the back of the Blu-Ray case for Water for Elephants. My recent [QR code adventures] reminded me of a marketing scheme that some companies are finding quite receptive: QR code scavenger hunts. These organizations include online blog and gift shop Neatorama, video game developer Square Enix, and even the city of Topeka. All you need to do is decide on where you want to take your audience. You need to promote the scavenger hunt first, especially if there is a prize. It will cause people to check your website regularly for more information on the kickoff event. Speaking of the kickoff event, you need to decide on a fair way to get everyone started at the same time. Perhaps you could post a QR code on your site at previously specified time. If you don’t expect your site can handle a lot of traffic perhaps post a message telling participants to gather in a specific location at a certain time where a representative will give out the first clue in person. If your scavenger hunt is not a race, there is no need to make the first clue “fair” as people will participate at different times, ultimately being led to whatever information you wish for them to have. Once you give your audience the first clue, they will venture to the location and find a QR code. The code will give them a clue to the next location they need to visit, and so on and so forth. Scavenger hunts can be strictly digital too. Give visitors to your site a QR code that when scanned will give them a clue for another website they might visit and repeat the process successively until they are led to a contest entry form. Scavenger hunts are great for businesses with multiple assets. Have the QR codes take customers on a journey to places they might not otherwise go, but have relevance to your company. Take them on a tour of their city, stopping at a number of important landmarks along the way. Scavenger hunts are also memorable and the experience will be in the adventurers mind for some time. The downside to QR code scavenger hunts is that I believe there is a limited amount of time during which they will be effective. QR codes are becoming more and more popular. Some curious user is downloading their first reader app as you read this. Once they get it, they will scan every QR code in sight much like I did on my QR Adventures. But how long will they seek QR codes for before it becomes a passive action? They will soon only scan ones they happen upon when it interests them. Do you remember how exciting the Internet was in the 90s? I used to beg my dad to take me to work with him so I could mess with his computer. Now the Internet is part of our everyday lives. So too may be QR codes, but the novelty will inevitably wear off. If you’re going to make a scavenger hunt, do it now while QR codes are still short of commonplace. Yesterday I spent a night on the town, but the night also included a day and it wasn’t a town, it was a city. Okay, perhaps the cliché was inappropriate so let me just explain what I did. I went about a day’s activities and snapped a picture of every QR code I came across. The goal is to explain to you what types of businesses are using QR codes and how. Let’s begin. I woke up and checked the mailbox. My bank statement had come in and there was a QR code right on the envelope. Score one! Also, a CD I had ordered from Rhymesayers Entertainment had come in. Along with the CD I was sent a free sticker promoting the Fifth Element music store. 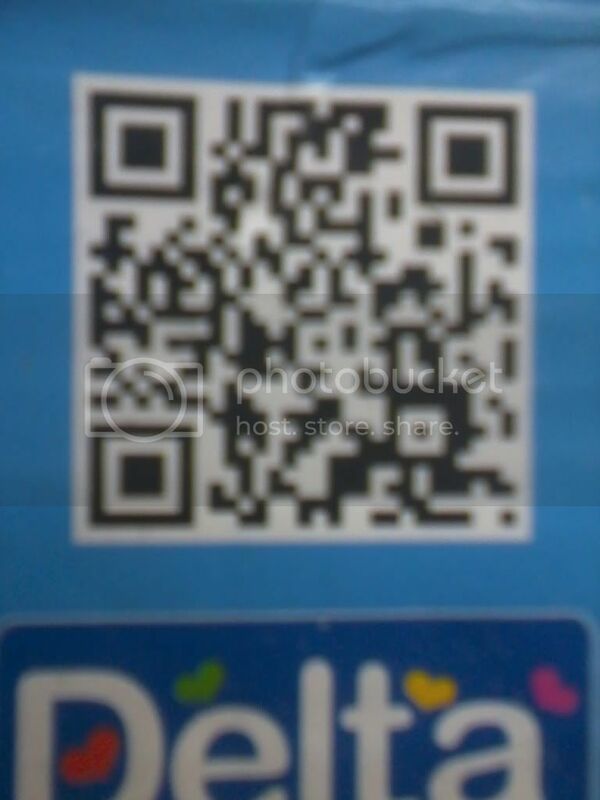 On the reverse of the sticker was a QR code. I hadn’t been awake for twenty minutes and I already had two codes. They really are everywhere. 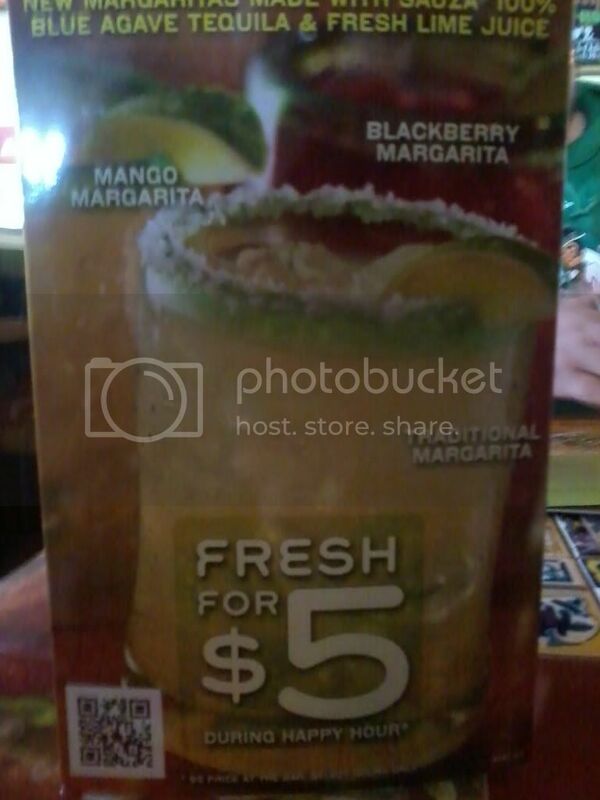 I had lunch at Chilis. I was actually quite surprised by how much they were utilizing QR codes. Each menu was accompanied by a nice QR code as was the drinks menu. In the evening I went shopping for my nephew’s birthday. While I was in a calendar and novelty store I found a strange toy that has come out recently. The I Am T-Pain microphone has built-in autotune so you can sound just like T-Pain and every other rapper in the year 2008. 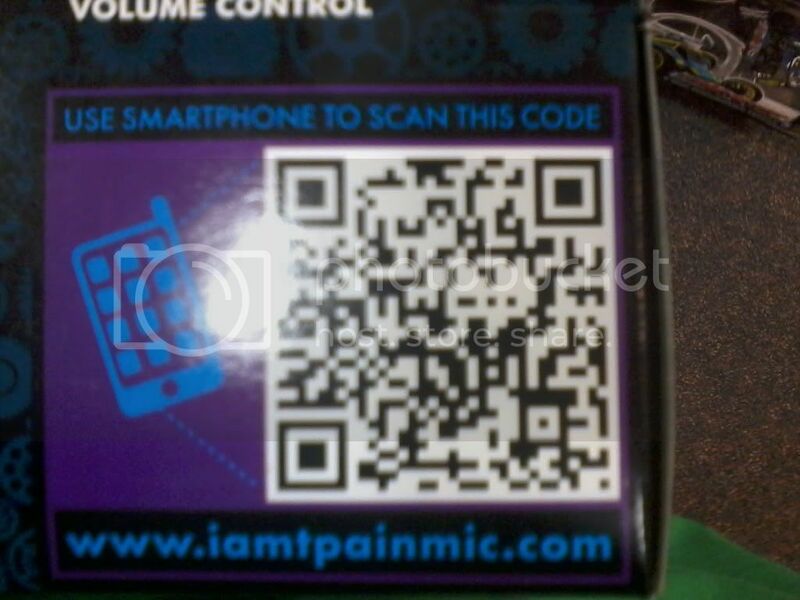 I actually only inspected it out of curiosity, but I got lucky: there was a QR code on the back of the box. While out and about I found a business card for an original acoustic artist. It actually turned out to be a guy I had met in years past. Always one to keep up with the times, Chris put a nice, big QR code on the card. On my way home I noticed that my tank was low. I stopped at a Hess gas station and while I was pumping, I noticed an advertisement on the gas pump. It was for a free smartphone with a two-year contract and wouldn’t you know it, it was punctuated with a QR code. In the late night I ran to the local Price Chopper to pick up a few groceries. While I was in the snack aisle I spotted this little fella on a display for Saratoga Chips. I didn’t exactly go too many places, I’m more of a shut-in, and I’m sure I missed a bunch in the places I did go. Point is: QR codes are out there. Sometimes you’ll have to look, other times they’ll find you. Try scanning the above images with your reader app. I’m not an expert photographer so some of the pictures are crude and might not be readable. 5. You want feedback from your customers but they rarely take their receipts home, go to the website listed and provide their two cents. By printing a QR code on every receipt, a customer can scan it and fill out a quick survey online while the meal is still fresh in their mind. 3. Give your patrons a way to entertain themselves while they wait to be seated. 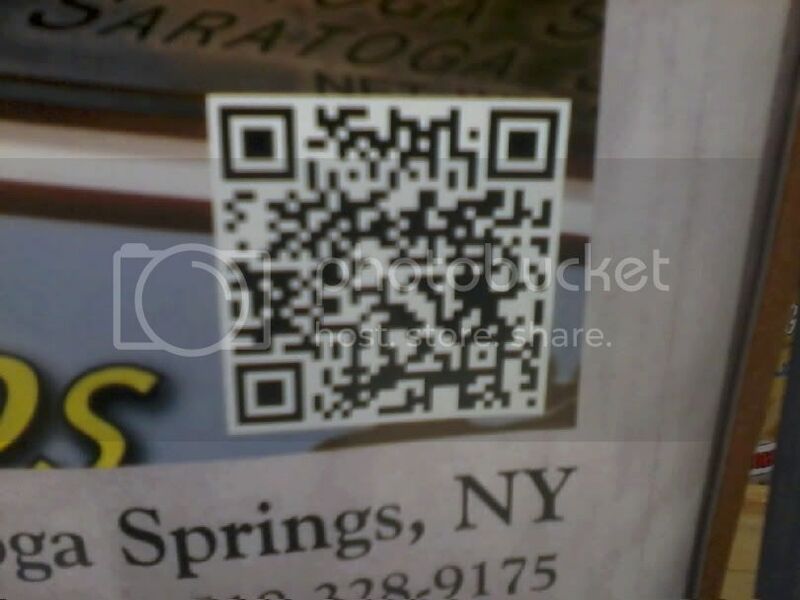 Post a few QR codes around your restaurant that lead to pages about its history. When was it founded? Was it always a restaurant or did it used to be a corner shop for pizza and ice cream? Sharing your history with customers makes the establishment feel more hospitable and conveys that it grew because its food is worth buying. 2. Every time I discover a great new place to eat, I always end up telling my friends when I’m nowhere near the take out menu I brought home. In addition to physical take out menus, post several QR codes around the restaurant that will take customers to a digital version of your take out menu. No matter where your customer is, they will have the data stored in their phone and they can decide on a dish, call and order. No more misplaced menus, and plenty more opportunities for sales. 1. The American population is growing ever more health-conscious. Patrons want to know how many calories are in every piece of food they eat from the appetizer dish to the main course. Unfortunately, the standard “nutrition facts” takes up a lot of room and you couldn’t possibly fit it on your menu for every item. 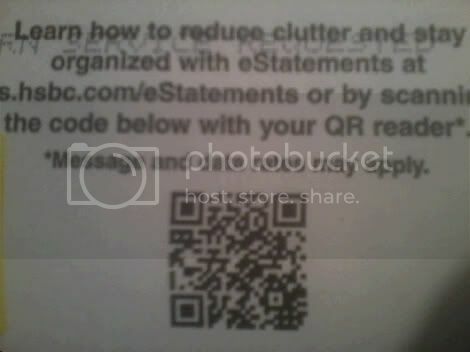 Give the customers what they want and save room too by printing a QR code next to every item. Even McDonald’s is storing their nutritional information in QR codes in Japan, and your restaurant is probably much more dignified.